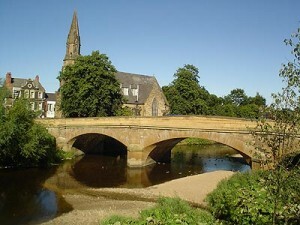 Morpeth is a lively town in the north of the country, and was first granted its charter by King John back in 1199, and that historical market is still held today. No doubt King John enjoyed a few hog roasts in his time, and a full hog roasting on a spit is just as delicious and as much of a sight today as it was back then. We offer fantastic catering with hog roast Morpeth, and are proud to offer excellent service and food at competitive prices. 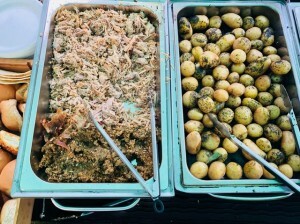 So you’re thinking of hog roast Morpeth caterers; we can offer you exactly what you need at competitive prices. 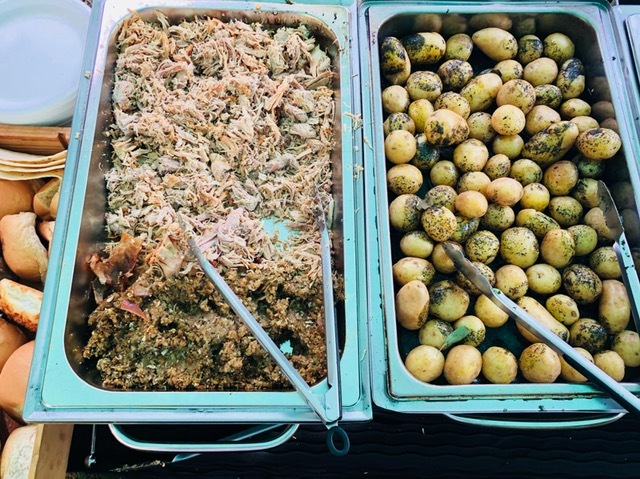 We are passionate about the art of hog roasting and passionate about delivering excellent food and service to make your event go off with a bang! We are proud to be one of the most popular caters of hog roast Morpeth and are equally proud of all our satisfied customers. We can cater to any event you can think of, be that house warming parties, weddings, charity dos, corporate gatherings; and we can provide all the catering aspects you need to make sure your event is remembered in years to come by every guest. We can guarantee that our hog roast provides a great spectacle for your guests, roasting perfectly at the centre of your event. Hire our waiting staff and we can make and extras for you from fresh at your event, and serve your guests for you. We can cater for huge events and are always happy to change any of our set menus to your liking; the menus you see on our website are just a taste of what we have to offer. Anybody with restrictive diets at your event? Let us know, and we can provide food for them with ease. Although of course a hog roast is our main event, we offer a wide range of delicious sides, starters, mains and tempting puddings for vegetarians or those with allergies, so give us a call and we will do the rest. We can also cater for much smaller events, and indeed have done in the past. Our smaller hog roasts can serve from ten people, with any leftovers carved for you and left with a selection of sauces for anyone feeling a little peckish later. In fact, if you feel like you would prefer to do the hog roasting yourself for such a smaller event we can offer you the option of hiring the machine itself for however long you need it, dropping it off for you and picking it back up at a prearranged time. We really do make good food and good times easy! Our machines cook a whole hog in about six hours. While six hours may seem like a long time to wait for your roast, we can assure you as expert hog-roasters with years of experience, this is the best way to cook the meat. Good things come to those who wait; and those who wait are rewarded by the sweet, succulent taste of juicy, perfectly cooked meat with just the right amount of crispness to the skin, and melting in the mouth. When we provide catering to your event, we make sure our hog chef arrives to cook the meat so it is ready exactly when you want it to be; all you have to do is enjoy your event and watch as the meat cooks perfectly. 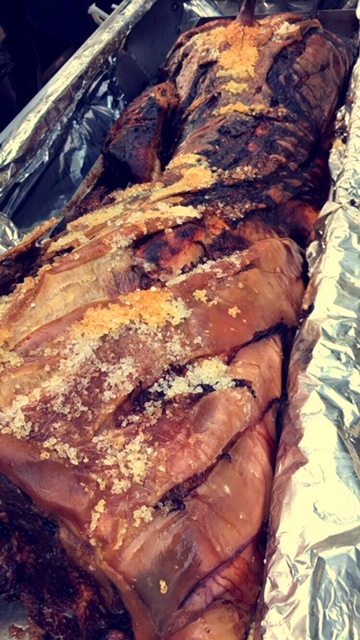 We are proud to hire out our machines for hog roast hire Morpeth to those of you wanting to have a go at hog roasting yourself, or if you are a caterer yourself looking for an addition to your catering options. Anyone thinking of buying a machine should hire one from us first to experience the ease and fantastic results first hand. Our machines are designed to be easy to use and with a variety of attachments, can cook pretty much any meat your can think of. If you choose to hire one of our machines, full instructions are issued on delivery so you can cook a whole pig by yourself for your function. Hog roast hire Morpeth is made easy. It is simple to use; simply score the pig, rub in a little salt, and turn on the machine and leave it to cook all the way through. Glazes can be added a little further on in the cooking process, and of course we are always happy to share any tips for the perfect hog.